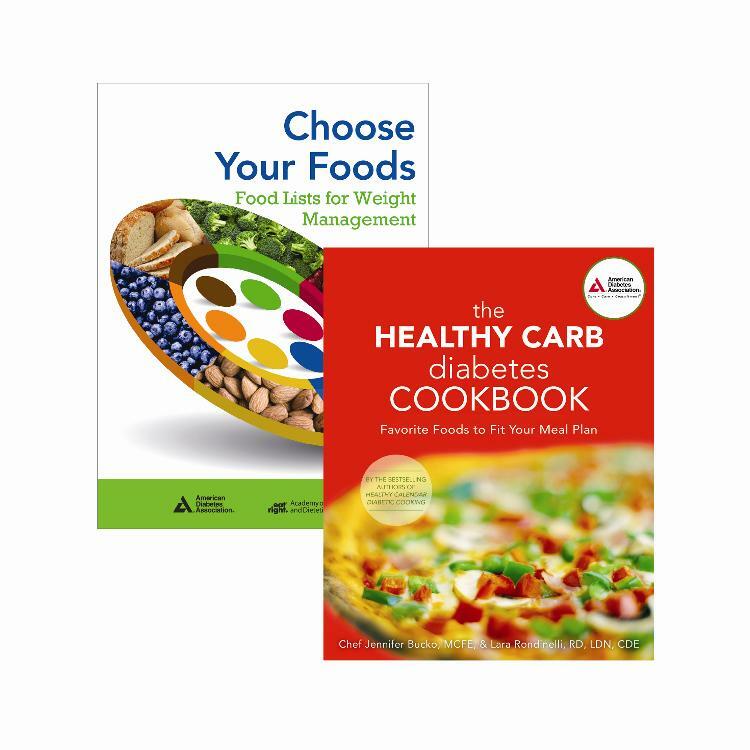 The Healthy Carb Diabetes Cookbook: Everyone is tired of hearing about carbohydrates—but carbs are important for people with diabetes. Not only do you have to count the carbs you're eating, you have to make sure you’re getting the right kinds of carbs. 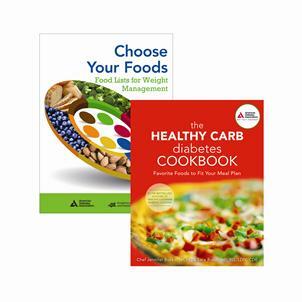 The Healthy Carb Diabetes Cookbook is the answer. This unique cookbook with over 150 recipes shows you how to fit more fruits, vegetables, and whole grains into your diet without added fuss. Choose Your Foods: Food Lists for Diabetes: No more "exchanging"--now you can Choose Your Foods! This new edition includes a revised selection of foods as well as a complete index of all list entries. Choices are grouped into carbohydrates, proteins, fats, and alcohol and teaches patients how to exchange foods within these lists. this book is shown as coming with the exchange booklet that is for weight loss but, that is not the booklet that came with it. It was just the regular exchange booklet which i already had!